Darwin Santa Maria recently launched his newest venture, Darwin Evolutionary Cuisine, a “kitchen without borders”, offering a variety of global dishes with a Peruvian twist. It is centrally located in Sarasota, Fl only miles from downtown & beautiful Siesta Key. We made a short list of highlights for those who haven’t visited yet. Take the opportunity to taste unique & expertly prepared cuisines from around the globe, prepared by an award winning chef. All for a reasonable price of $15- $20 per plate. Monday – Saturday from 5pm-7pm you can get local craft beer or house wine at the bar for $4. If you are looking for something savory & unique to pair with your drink, you can check out their Happy Hour menu which includes Peruvian chicken spring rolls, pork belly, & much more for between $6-12. 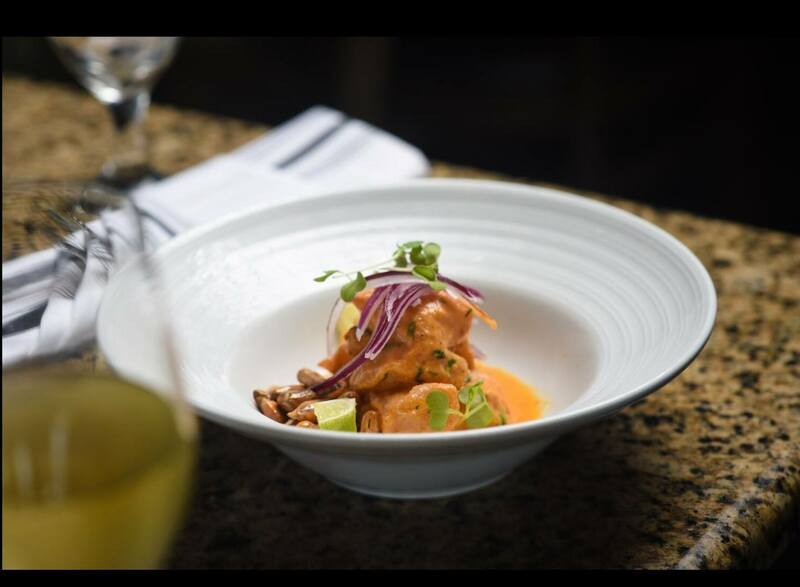 As soon as you walk into the restaurant your eyes are drawn to the vibrant Peruvian inspired art work that spans the back wall. There are plenty of windows that let in the natural light. Outside is an area for dining as well. It is a big deal when you find a good restaurant open past 9PM in Sarasota, that has quality food & drink specials. Darwin’s offers both! Choose from a variety of tapas & piqueos, all for $10 or less. If you scroll through the reviews on Darwin Evolutionary Cuisine Facebook page, there is a whole list of great reviews. Over 80 5-star reviews to be more precise! If you make it to Darwin Evolutionary Cuisine, leave them a review & let them know CraftSeeker.tv sent you! Cheers!